FREDERICTON - Falling gas prices and a weakening loonie are raising hopes within Canada's tourism industry that 2015 will be a banner year. Ian Jack, a spokesman for the Canadian Automobile Association, says if the current price at the pumps holds until the spring, he expects an increase in the number of people travelling by car this year. "You'd be crazy not to with the price down so much," Jack said. According to the CAA, the national average price of gas hit a high of $1.39 per litre last June. On Friday, that average was 92 cents a litre. Only 14 per cent of about 1,000 CAA members surveyed said they planned to drive more during the recent Christmas holidays. But Jack said most people don't like to drive in the winter and he expects those numbers will rise during the warmer months. "If we continue to see low prices into the spring and summer we do expect a significant uptick in car vacations in Canada," he said. Statia Elliot, director of the school of hospitality, food and tourism management at the University of Guelph, agrees. "I think with the way the dollar is and the way gas prices are, we're going to see good, strong demand for summer vacations," she said, adding that cost is one of the top factors people consider when deciding to travel. "Three-quarters of what we call tourism is generated by our own Canadian travel and with low gas prices that will encourage more people to get in the car and travel closer to home than they might have otherwise," she said. The Canadian dollar was valued at 84.27 cents US on Friday. 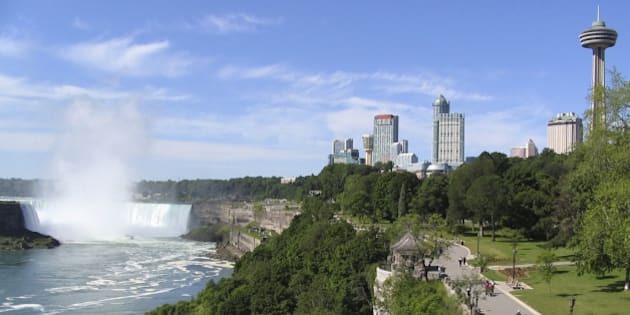 Elliot said while Americans likely aren't watching the loonie, smart tourism operators will use their marketing savvy south of the border to encourage Americans to come to Canada. Tourism officials in British Columbia say they were projecting a good year for the province and the effect of the dollar and gas prices will be a bonus. "That's only setting us up for good news in the tourism industry," said Ian Robertson, executive director of the Tourism Industry of British Columbia. He said the number of visitors in B.C. this year is forecast to be even stronger than it was during 2010 and the Olympics. "Anything that can help move that along is welcome news," he said. Jack said he's hoping falling fuel prices will also bring down the cost of air travel. "We've seen airfares rise in recent years, and while we have yet to see the fuel surcharges come off of flight costs yet, you have to think that if low fuel prices continue in the marketplace much longer, at least the airlines will be hard pressed to justify any fare increases," he said.